I don’t recall when i first started reading ‘The Hindu‘, the local daily from Chennai; given that it was the only daily we ever subscribed at our home as a kid, it is safe to assume a very early age. But the concerted devouring of news from page to page, column to column was during my college years. I had the opportunity to read other newspapers, news magazines, and other publications that bordered on information and gossip. Radio news was dead by this time, and in India, the news on TV was mainly a government propaganda broadcast. Newspaper was the only source, and The Hindu was the only source that i trusted. A political animal at an early stage in my life, news and current information was a prerequisite. No, it was more than that. It was the basis for simple survival. Those days, it was not too difficult to consume news from different sources, with slant and bias for different topics. The biases if any were more straightforward, and always applied, based on principles. Journalist curated news and published, and put their name and stamp with an authority that demonstrated validation, authenticity and credibility. I am yet to recall a story that was later labelled as “fake news” , during those times. Publications that carried sleaze and or naked pronouncements without validation or stories without proper attribution was collectively junked as “Yellow Journalism”. These publications and journalists were treated with the rightful disdain. Today is different. The news is already stale and old, by the time my favourite newspaper is delivered in the morning at 6am. Can you imagine that? Between the 24×7 TV Channels and online news etc., the news, or better stated views has already been shared, sliced/diced and shred to pieces. Then there is the social media, notoriously twitter, closely followed by facebook and whatsapp, all which spray information. The poor receiver is inundated, by this overflow and struggles to keep their sanity. News, views, fake news, accuracy, credibility, information and source are all compromised and interchanged, leaving doubt about which is what? I have given up watching TV news. I use twitter a bit, but its a place to dump my views, just like this blog. I read stuff, but am always double checking stuff i read on twitter or from other SM. In the end, i still look to my newspaper for credible source of news. I try to maintain a steady head and clear mind as i read The Hindu newspaper every morning and form my own opinion on issues that interest me. It is a losing battle tho’, and i am trying my best to stay afloat. This morning started with an interesting tidbit of news in one of my whatsapp groups; ie Arnab Goswami has quit TimesNow. How much of this is true, and how much speculation exists in this story and all the stories that follow this, i dont know. It is safe to say that irrespective, this story has kicked up a storm on the news streams and other social media sites like twitter, facebook and of course whatsapp! Arnab is dear to me, and i owe a lot to him and his creed at other TV 24×7 News channels. Thanks to him, and on this note, primarily because of him, i have stopped watching news on television. I have gone back to the good old days of reading the newspaper and a few magazines, specially the ones that dont have a presence on the television. My ability to absorb and digest news feed, appears to be far superior now, and additionally i am saved from unnecessary hypertension and blood boiling situations, that would have otherwise warranted me to throw my shoe, the TV remote, the brass fruit bowl, my cat, my wife or children at the TV. I cant recall the last time i have seen his show on TV, but have done a few times on youtube to be able to break into a laugh at his expense. Arnab is special, because he spoke in a language that i understood fluently, as compared to the other Hindi or local news TV channels. More so, because he always wore his passion on his sleeve. And his bias is very evident, he is more like an evangelist who chased away evil spirits in front you. And just like those evangelists, you hear of all those people who benefited from Arnab’s ranting and raving on live TV (Let me come back to the live TV part in a bit), but never actually met that person. Was it even real ? A good question, best left unanswered for his benefit. 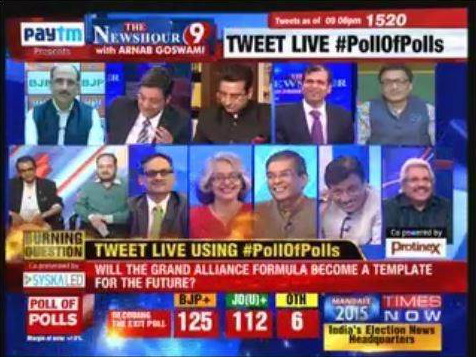 Arnab is extraordinary, because his newshour is the only one that had about 14 people on the show at the same time. 14 people ! I think there was time i he had more that he had to invent a scroll bar for TV, to be able to show the others who were not currently active on his show. I search without luck on the internet to find an image to place here. The other beauty of this placement was that sometimes all of his guests were talking at the same time. But inspite of all this din, the only voice you heard loud was “The Nation wants to know”. It seemed like a repugnant child who wanted his voice heard amongst his friend. My child would have shut up soon, after i gave a light but significant smack across his/her head. But this cry baby, just wouldnt. It seemed to irk me, that he would invite people to air their views, but never allow them the peace. And if they tried, it could turn vile and nasty. And his guests have used words and “finger” signs, otherwise unheard of on national TV. The better part is sometimes, you had all these ghosts (not guests) on his show, and they didnt get even a full minute to state their view or sometimes simply open their mouth. He is also charlatan enough to leave empty chairs for guests that dont wish to appear on his show, but needs to be meted out his ire and those from his other choicest guests. Arnab is an original, because he never ceased to talk about how his show had exclusive footage (which was currently also being aired on other TV channels), exclusive access to documents (which was a bunch of white paper that he constantly waved at his guests or fictional beasts), exclusive sources (whom we never see or meet), and exclusive freakin everything. There was nothing that was not exclusive. He even contended that his guest was exclusive when the person was also providing the same interview or information on other TV. He was not the first to claim exclusivity, but was surely the first with his incessant claim to exclusive exclusivity. Arnab is a pioneer in making sure his voice is the loudest, clearest and possibly the only voice to be heard on his TV show. He seems similar to the likes of Bill O Riely and Sean Hannity of Fox News. 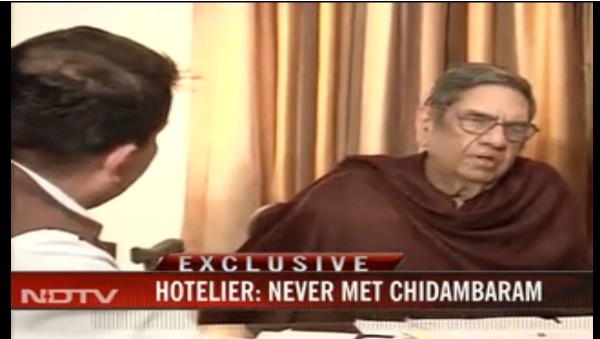 But they pale in comparison in how best Arnab can outshout his guest or humiliate them on live TV. Live TV in the sense, recorded live, but aired later, with the obvious edits and fixes, because if you flip channels his guest is on another TV news show, also providing live and exclusive updates there. 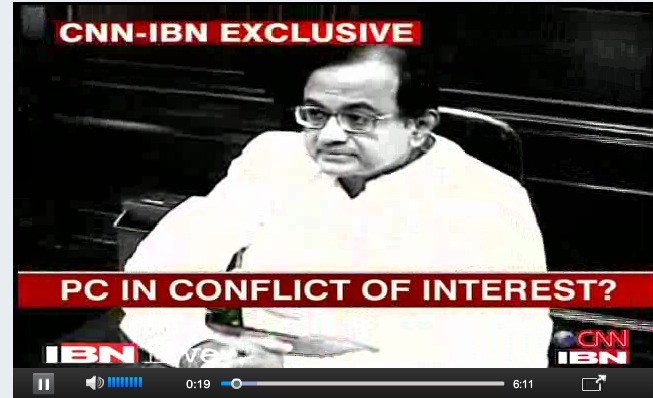 Obviously you have to trust in the “exclusivity” promised by Arnab, and call a bluff on the other channels. He is also the brave soul, that called for the arrests of his own fraternity, because they dared to air opinions or news divergent from his. That had to be the icing on the cake, when a ‘journalist’, asks the government of the day to arrest other journalists for talking a different viewpoint. Talk about freedom of the press, but like democracy, it is only reserved for a few. Oh and before i finish. 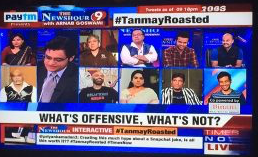 When watching the show, the only real words that i can decipher for other guests is when they mutter “Arnab”, “Arnab”, “Arnab”, “One minute Arnab”, “Arnab one minute”, “Arnab”, “Arnab”, “Ek second Arnab”, “Arnab”, “Arnab”….. The patter that never stops ! 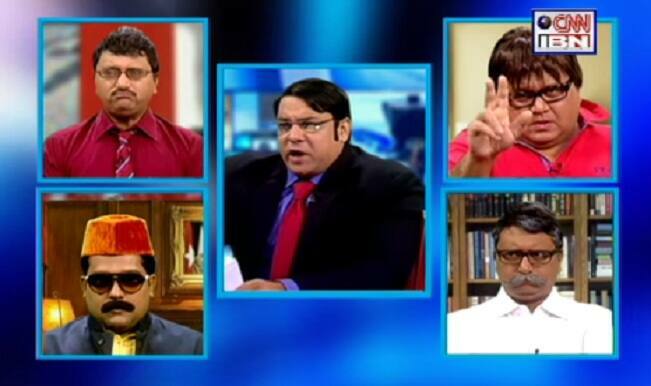 Arnab and his brand of TV news is here to stay. His ability in raking up viewership, with this type of “over the top” TV news has prompted other TV news channels to adopt the same strategy. And when he leaves TimesNow, and starts his on NaMo TV or something like that he is surely going to amplify this many times over. With the growing impatience and anger amongst the populace, it is inevitable that he cashes in and keeps his personal cash register ringing. There was a reason that Narada the wise sage always uttered “Narayana Narayana”! The internet has changed the world in so many ways, that it is difficult to imagine a life before it or without it. When i first, was introduced to twitter in 2009, it was still a very quaint idea. Imagine leaving tidbits of info on the internet, that may or may not make sense to all. I had probably visited the tweet central about a dozen times during that entire year. Fast forward to today. Twitter has become probably my main source for news. Ridiculous as it seems, it quite the truth. And there in lies the rub. While twitter is an important source of information, it is like most of the internet, a beehive of misinformation and more importantly disinformation. Yes, there is a word called dis-information, and it is the opposite of information. But this was there before too, and so twitter didn’t introduce or create this dubiosity. What twitter offered was the ability to deliver direct and unsolicited, messages. Twitter provided access to any and all, no matter where they resided in this whole wide world. Direct access, even if the message was a one to one, it was available for all and sundry to read and react. Suddenly it leveled the playing field. Like blogging did to the world of publishing, twitter did to the world of editorial and press. Just imagine if you made public your entire email inbox. And like everyone else allowed everybody to read their inboxes. And then we read, reacted and messaged each other, about each other, on what each other wrote to each other. Each of the “each” and “other” possibly being completely discrete people on this globe. Imagine. Well, we you don’t need to anymore, twitter has done just that. Today, thanks to twitter, i am able to directly communicate with @POTUS – yes the president of the US, @narendramodi – the PM of India, my buddies and just about anybody in the world, if i can figure out their twitter handle. And sometimes even that is not really required. I can tweet using their name, and their friends and fans will take this message to them. And many times it really doesn’t matter. Because this is not about communicating; which is a two street. This is more like hurling words. What they mean or cause is usually irrelevant. The very purpose of the tweet could be – shock and awe. Yup. That underhand punch to the chin, when your opponent is expecting you to slam him on the side of the head. Bam! Twitter is the grand central of hate these days. It used to be youtube, Facebook and myriad others, but none offer the convenience and ease to spew hatred and spill a few foul words. All it requires is, anyone with the most basic skill of to assemble letters, and form words. It does limit you though, to 140 letters for every instance of hate you wish to pass on. It is difficult to have to navigate your way through this gutter, these days. I am not taking some moral high ground here, i have used a few choice words too. I am not happy i did either. It is however sad, how we humans, can abrogate just about anything. I still cherish the access twitter provides me. I also see how twitter has changed the delivery of news (from the fourth estate), for ever. Sometimes i think that alone is worth it. And sometime i think not! News has always been a passion, but with the advent of 24×7 TV news coverage, it has created an appetite and fueled it continuously. But more importantly it has also opened up a whole new perspective – watching the media. For me it started a while back, watching the news media driving themselves into a frenzy day and night, during the Bill Clinton presidency – his affair, the investigation, the impeachment hearing et al. Principles of journalism and reporting fell to the wayside, as each reporter and newscaster tried to score a point, with every visual second. India while playing catching up has had an advantage. They never had to invent most things, but simply copy them. This should have worked to our benefit, and it does most times. But it also has another effect, where we triy to one-up the original. Indian newspapers have enjoyed a glorious past, many strong and established ones reporting from the Pre-independence era. They had established amongst themselves a code of conduct that rivaled the best in the world. My personal rating scale has always been based on the ‘The Hindu‘. Rarely have i seen journalism that is superior to the standard held by this one newspaper in India. And i mean that across the whole world. I have had the advantage of tasting most US, Canadian, British and a few other English dailies. 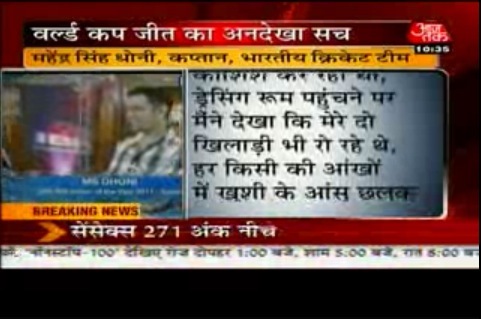 The TV News media in India is probably the lowest i have seen. I must admit i have also seen quite a bit of TV news coverage from around the world. And assuming what i have seen are from the ‘leading’ TV news broadcasters from their respective countries, the Indian TV news media falls way short of expectations and delivery. Mind you, i am only talking content, culture and taste – covering the core ethics of journalism. And from the earlier premise that TV news was anyway at the bottom of the ranking, when it came to principles and ethics, the Indian TV news channels must be the scum amongst the scum. The news broadcasted by the 24×7 news channel in India apparently fall into two categories only: Its Breaking News, and if its not, its Exclusive. How do you differentiate ? Breaking News is usually shared and shown across most TV channels at about the same time or day or even week. I have been trying to get a grip on this, but with little luck. I have found that breaking news, is typically the first story that opens a 9pm news. And is the standard tag used for virtually any live coverage of any event. But the most important trait is that the news currently being aired is neither breaking or news. You have already heard about it, unless you just crawled out of a rock, just that instant before it aired on TV. Exclusive News is the tag used by a news media, attempting to one up on its competition. 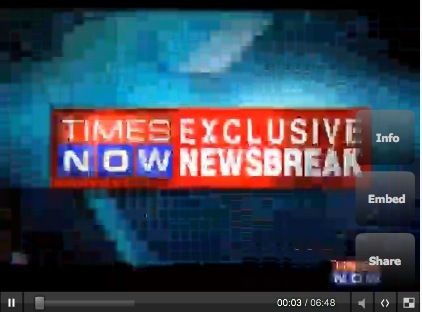 This type of news covers the remaining time in a news broadcast. 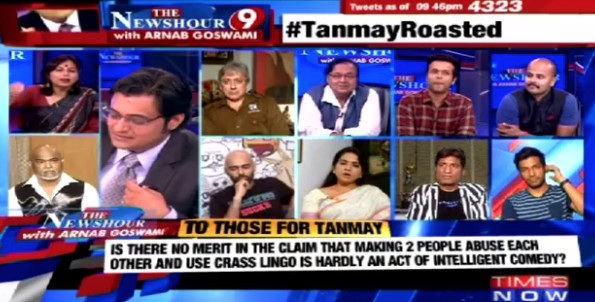 The best proponent of this is Times Now. They show the ‘Exclusive’ tag on the screen, as a water mark, and the newscaster also shouts it out for a good measure, just incase you were blind or had a near-zero vision. It is difficult to miss the onscreen display otherwise. The veracity of the claim though, like breaking news, is quite questionable. It interesting to note, that each of the major TV news channels would manage to elicit the same information in separate one on one interviews, so that they could air this exclusive interview, about the same time in their prime time news. Today, i do continue to watch the news. But after soaking in the first few words of the news, i am actually watching the news channel, like i would watch any other reality show. Its fun sometimes, most times annoying and almost always channel surfing good – only to land on to the next 24×7 news channel. India is also blessed again. The residents here, like me, can start with the English, then move onto Hindi, followed by Tamil, Malayalam and maybe if really bored try Telugu etc. Oh ya, there is a good measure of financial news channels that add value during the evening prime time. Its one big circus. I am sitting here in the US, far away from the action in India. But my heart is somewhere else. People are out in huge numbers in Delhi and all other major cities and towns in India. ‘I am Anna Hazare’, is not just an expression of words, but a mirror to the hopes and prayers of thousands across the country. Anna Hazare galvanized the nation with his simple call to fast, to pressure the government to debate and possibly accept a more stringent version of the Jan Lokpal Bill. But sitting here, it is interesting to watch, painful if i might add, the TV news shows. They go overboard, in trying to bring all the viewpoints, and debating them irrespective of how ridiculous some of them may seem. They attempt to give equal airtime to government’s official voice or importantly the congress party’s voice.When in fact they need to be trying to give more credence to the citizens and an avenue to vent their feelings. I am however, thankful to them, because this moment would have taken a much longer time to attain fruition, if it weren’t for the 24×7 news channels. Government, Parliament or the Citizen – who is more powerful. In a democracy this question will always arise. This is trivializing the matter. Anna Hazare is not looking to usurp the government or the parliament. He and his team tried working with the government, tried working with the members of the parliament, and met with the same two-faced attitude that has resulted in this current corrupted state. 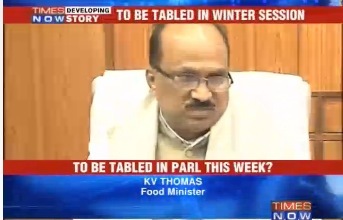 He is surely bringing pressure on the parliament to atleast review and debate his version of the Jan LokPal Bill. There is nothing wrong with that. It happens in all the time in other democracies. Thinking otherwise is being naive. The corporations do that all the time everywhere. But no one will accept and accede to this point. Freakin hell, our own PM tried his best to screw the country on the nuclear bill sometime back, based in the influence from the US and other foreign governments and corporations. Setting a Precedence – where one man or group can blackmail the entire country. There was only once in the history of India before, when a single man was able to wield such influence. He too was frail and old. People flocked around him, because he epitomized a sense of hope, equality and justice. He may not have delivered it all, but people felt happy and hopeful when they stood with him and supported him. I am not sure if Anna Hazare can also imagine repeating this tactic a different day, for a different issue. But if he or someone else is able to capture the imagination of the population, then so be it. Isnt that the best form of democracy. Combating Corruption begins with a simple no – The only truthful statement amongst the many misinformation or ridiculous assertions being made. However, there is a small flaw. The flaw is based on the innocent aspiration of all people, that we be less greedy, love each other and above all world peace. We can stop people from taking or giving bribes, when we create a legal framework which enables unbiased investigation and enforces strict punishing of this crime. One might think, we must solve the problem of paying a traffic cop to get away from a traffic infringement, before we attempt to solve the problem of ministers and the larger government machinery robbing and misusing public funds. 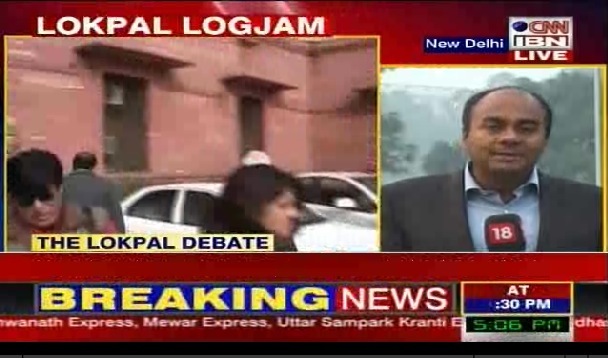 The Jan Lokpal Bill, is attempting to create a legal framework, that eventually will help us solve the traffic cop problem too. We all have to start somewhere, but why should it always be somewhere else, instead of the place we are now. Sadhvi Rithambara – The most ridiculous of all the views. To start with, my views on RSS and hindutva are clear in these blogs. So before someone starts associating religious and casteist motives behind this view, they should spend time to read them. And this lady, ‘sadhvi’ is probably the last person that i would depend on to take this nation forward. But, then to accuse Anna Hazare, because of her presence at Jantar Mantar and therefore oppose the Jan Lokpal Bill is absurd and ludicrous. It only means feeds the theory, ‘cannot win, no matter what’. With hope in my heart, i say, i am Anna Hazare today. Let there be a thousand more. When i wrote the previous post, i hadnt read or seen, one of the biggest reports in the news, about the media. In the previous post, i had only highlighted a visible malice, related mainly to the culture of 24×7 TV news. While the observations were focused on news as it unfolds in India, it was merely a local flavor of a global problem afflicting news media, particularly 24×7 news. And today the Indian news media, has shown that they are not far behind the advancements in the 4th estate across the globe. Namely, corruption and the collusion of corporates, media and government in furthering a business and individual monetary situation, at the cost of many, through unfair means. Just another small step in the integration of India within the ‘developed’ economies of the world. The latest exposé, now known as the ‘Radia tapes’ that brought out recorded telephone conversation between Nira Radia, and some famous, probably now infamous, personalities. While exposé is common, and we have come to stomach some big names every once in a while. What was uncommon about this time? A whole different genre of people were involved, people that actually make the news. I mean literally. Barkha Dutt (NDTV), Vir Sanghvi (Hindustan Times), Prabhu Chawla (India Today), MK Venu (ET), Ganapathy Subramaniam (ET), R Sridharan (ET), among a list that is still expanding, with every read of the pages on the internet. Outlook has published an entire tape set (a small portion of the bigger set), consisting of conversations that covered areas of telecom, ministerial berth, HC judgement and involving corporates like Tatas and Reliance, etc. Among the heads that may roll eventually as a result of this, includes two faces that were commonly seen on TV these days – Barkha Dutt and Vir Sanghvi. Barkha a newscaster, editor, journalist all rolled into one had been enjoying a reputation as the leading TV news personality in India. Not completely free from controversy, even before, she was still admired and commanded some respect. Vir Sanghvi, one time editor and a senior journalist for the Hindustan Times, is a commentator on TV, offering his opinion on the different facets of daily news. The images of both these personalities have taken a severe beating. The news channels were reluctant to talk about them, but were forced to by the newer media – social media. Twitters, Wikis and Blogs appeared in thousands to keep the issue alive and finally extorted the 24×7 news media and the print media to pay attention. Just as the acts of these journalist were not respectable, the process of witch hunting carried out in the social media was not very admirable either. Social outlets like twitter and blogs kept the pressure on the media to react. It focused specifically on the weakest links in the armor. As is common in a mob culture, character assassination, personal accusations, unauthenticated allegations and more importantly indictment, soon started becoming the norm on these outlets. Where have we seen these before? It played out just like it does in the TV news, judgment without a proper hearing. Twitter was aflutter with tags like #mediamafia and #barkhagate trending and topping the charts. Twitterati soon started mixing issues by bringing religion, class, political leaning, association and quoting blogs offering motley viewpoints often unsubstantiated and more importantly singularly one-sided stories. And soon people we involved in updating wikipedia pages. I guess in the end, everyone is paid in their own coin. That is the biggest irony of it all. It is getting all murky. As it did, the focus and purpose soon started diverging from my beliefs and views. While i am quite dissuaded to offer any further support, i think keeping quiet about what these two journalist and others did, is improper too. Hopefully sanity will prevail, and some good will come out of all this. If nothing, images of these journalists are tarnished to an extent, and their names will forever be associated to these tapes. Their years of effort to cultivate a following and good work done till date has been tainted. That is fair punishment, and i hope they are able to redeem themselves in the future. Given my travel schedule, its difficult to track news from the beginning to the end. I mean a particular story, from the first time it is splashed as a breaking story, as it unfolds, till it eventually results in some common good. Well, that was the news of the old. Or supposedly. We always tend to compare our current state to a known state before. In that context it might appear that news was intended for common public good. My last trip in India, i was fortunate, as it was an extended one, and this helped me to acclimatize to news media there. Not that they are foreign or different. Well, on second thoughts make that the first problem, they are not different. But that is topic for another discussion. This trip was also exceptional, from a news media standpoint, because we covered some major ups and downs. So one did get the feeling of watching the Iraq war live on TV. There was the outbreak of the CWG Scam, 2G scam, CWG Games, Ayodhya verdict, test match with australia, big boss, Obama’s visit, Karnataka Assembly, B’lore land scam, Rathore case and so many more. My dth provides me with four english news channels, NDTV, CNN-IBN, Times Now and Headlines Today, apart from numerous hindi and other regional language news channels. For quite sometime, watching news has become more interesting than watching reality tv shows. I think i picked that habit from the US, during the Clinton time, following his public trial on news. So, while not averse to watching it, i am slowly weaning myself from this addiction. The TV news channels in India during this period, rivaled each other to break the next story. Each claimed exclusivity on the story and or to the cast of actors. I did spend a few times flipping between the main english channels to see if anything more was revealed in another one. One of them in particular was so familial that they even called their channel as ‘Your Channel’. So night and day, they hopped from one story to another. Each day started afresh, because the current story was old and dead, and needed to be replaced with a new one. And i found a new meaning for 24×7, like a day where the hours repeat twice, story and news repeats itself many times over during the day. After being first broken on TV, it is repeated in the closest news hour, by the next hour, there are few opinions from the near and dear, and by prime time, the experts are in from everywhere. So finally, you have Javed Akthar (poor man is not to be faulted, except for speaking), Jethmalani, Jayanthi Natarajan, Mani Shankar Iyer, Ravi Shankar Prasad, and a host of others talking about everything, anything and nothing. The climax is the weekend specials, where they bring it all together. The fatigue is visible even on the newscaster and editors eyes, as they long to move on to the next story. And many times, that is the que to quickly wrap the current scam or a daily high and shift the focus to ‘developing story’. It is like a roller coaster ride, that is 2 mins of fun, that requires you to endure two hours of pain. In the end, the biggest casualty is the common good. All of this serves to educate us. But what good is an education, if you can not employ it anywhere.